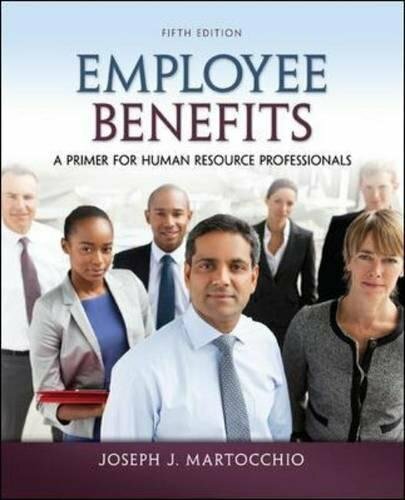 78029481 -Joseph Martocchio’s Employee Benefits: A Primer for Human Resource Professionals was written to promote a fuller understanding of employee benefits programs among students enrolled in college-level compensation and benefits courses. It’s relevant to students who plan to be general managers, who deal with a variety of human resource issues in their day-to-day jobs, as well as to those who expect to be human resource practitioners. The real-world focus of Martocchio’s text is evident on every page, as the author seeks to balance current academic thought with brief examples of contemporary benefits practices in business.